What if burglars could break into your home without ever smashing a window or picking the lock? Say the front door swung wide open to let them in, but the only one there to greet them was your jewelry box? That’s a growing concern for millions of Americans who live in Internet-connected smart homes. These days, cyber criminals pose just as big of a threat as old-fashioned burglars. They can hack into your smarthome security system and walk right in the front door, or watch you while you sleep. While pranksters with less malicious intent could annoy you by setting off false alarms and sirens, flicking the lights on and off, or adjusting the thermostat to an uncomfortable temperature. It’s not just your home. Your car, phone and laptop are also at risk of cyber intrusions that can turn your life upside down. The FBI earlier this year warned drivers that the more automated their cars are the more vulnerable they are to hackers. This comes in response to an experiment by security researchers who broke into a Jeep Cherokee as it was driving on the highway and shut it down in July 2015. “Vehicle hacking occurs when someone with a computer seeks to gain unauthorized access to vehicle systems for the purposes of retrieving driver data or manipulating vehicle functionality,” the FBI noted. But cyber security incidents like these have done little to slow down the tremendous growth in the market for smart homes and cars. The smart home market is skyrocketing. According to a study conducted by Comcast, which is a leading security provider in this space, there will be 30 million families living in smart homes by spring of 2017. Here’s a look at some of the most popular smart home features on the market. Google’s Nest home security firm provides indoor and outdoor security cameras, a smoke alarm and carbon monoxide detector, as well as a thermostat. These devices can be operated remotely from your smartphone, so you can keep an eye on your home while you’re away. 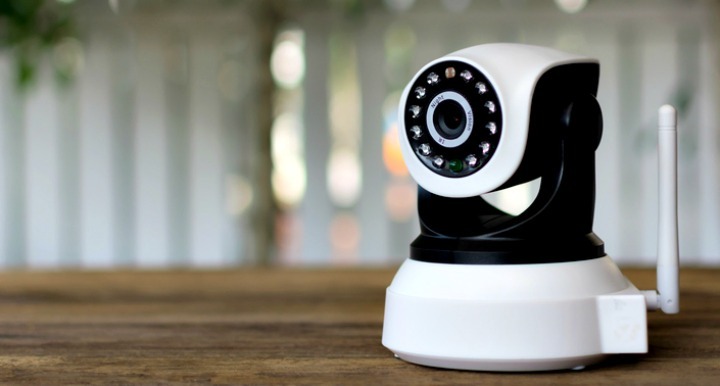 When it comes to surveillance, Canary is regarded as one of the best smart home security cameras. It relies on motion detectors to record high-definition video and audio. The night-vision cameras even works when the lights are off. Piper is also highly regarded for its wide-angle cameras that give customers a better view of their homes. August secures your home with a smart lock that you can operate remotely if you need to let someone into the home while you’re not there. The company also provides a smart doorbell camera that allows you to speak with people who knock on your door. But it must fend with reports the locks could be hacked. Ring and SkyBell also provide similar smart doorbell devices. WallyHome Water Leak Detection relies on a series of sensors to warn you about water leaks and temperature changes before they wreck havoc on your home. Companies, such as Philips Hue and BeON, provide smart lights for the home that you can operate from your smartphone. The lights are more efficient and can help you save energy, but in the case of BeON, they can also play a role in securing your smart home by making it look like you are there even when you’re gone. Smart homes have the potential to make your life much easier, but they also bring with them a new set of security concerns. So how do you protect yourself? First, make sure you have adequate homeowners insurance because there has never been a perfect home security system. That said, however, some systems are better than others. Many smart home systems link back to the security firm’s central monitoring station where professionals are always on guard. If the alarm goes off, they reach out to you and then call the police. For people who are not comfortable with Big Brother watching over them, they can take matters into their own hands by opting for self-monitoring. But security exerts advise against this, because you may not always be in a position to call the police. Say you’re on an airplane or in a meeting when the robbery occurs, what would you do? The type of home security system you choose could determine whether it will hold up to thieves. Old-fashioned home security systems used a series of wires that connected security cameras and other sensors to the phone line and alert the authorities when an intruder was spotted. The problem with these is burglars could shut down the system by cutting the phone line. By contrast, most smart homes rely on wireless and cellular networks to notify the authorities. The phone lines can’t be cut, but they can be hacked. This could be as simple as a robber guessing your WiFi password. Smart homes will transmit data from the cameras and sensors placed around the home to a monitoring device in your home that contacts the authorities. If these devices are not encrypted with additional passwords, anyone who has access to your WiFi can gain control of the home. To make matters worse, WiFi-based systems risk shutting down during power outages. That’s why many smart homes rely on a combination of WiFi and cellular networks to ensure continuous protection. Cellular-based home security systems are much more difficult to hack, says Peter Rogers, co-founder of FrontPoint Security Solutions. “That does not make it impossible, just extremely unlikely,” Rogers wrote in a recent blog post on the company’s website. The primary mode of hacking a cellular-based system is through a method known as “jamming,” where the perpetrator overloads the network with too much information so that it cannot differentiate between what’s relevant and what’s not. To pull this off, the burglar would need to know which frequency the cellular network uses to transmit data to the security firm. They would also need a specialized device that is tuned to the specific frequency. So let’s say the thieves get this far and use a jamming device to gain entrance to your home. Beyond jamming, smart home security devices may fall victim to poor encryptions. Some thieves target the signals that are sent between the smart locks and the monitoring station in the home to steal the password. SimpliSafe, in particurlarly, has become the subject of concern after a security researcher earlier this year claimed hackers could potentially intercept the code a homeowner uses to disarm their security system. The company promised to address the situation by updating the hardware, but that will only solve the problem for new customers. People are continue using older versions may still be subject to hacks, experts say. But there are many other ways hackers could exploit your smart home security system. Like many companies, the security firms that protect your home are themselves targets for cyber attackers, which could potentially compromise your safety. Sometimes, it doesn’t even take a hacker. Such was the case with Google’s Nest home security branch. A group of Princeton researchers earlier this year found a security bug that revealed the addresses of the homes protected by the security company. There are many reports pointing out the security vulnerabilities of other smart home security systems, too. But the biggest threat may be much simpler: What if someone steals or hacks into your phone? Many smart home security devices can be controlled with the touch of a button. If your password is easy to guess, this could make it much easier for them to gain access to the home security app installed on your phone. Yet another reason to keep your phone close at hand.